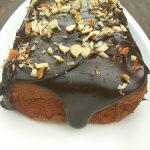 Eggless Coffee Cake with a beautiful Chocolate coffee ganache! If you are a coffee lover, this cake is made for you. I love experimenting with recipes. I also love trying out unique recipes. Hence this is one such recipe which is unique, tasty, and perfect for the upcoming winters. Let’s break down the recipe. It’s a coffee cake. 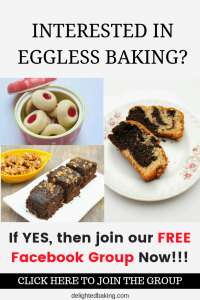 It’s eggless. Hence my vegetarian friends or those who don’t eat egg can also try this recipe without any problem. This recipe uses a combination of condensed milk and buttermilk in place of eggs. 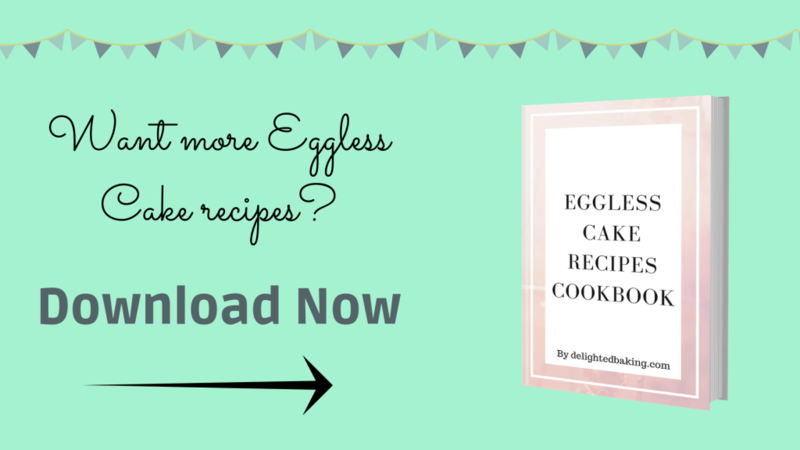 See the basic purpose of eggs in cake is to provide moistness, softness and to help it in rising. So, the condensed milk here makes the cake soft and moist. The buttermilk helps in rising the cake. If you don’t have buttermilk at home, then also you can try this recipe. You can make buttermilk at home. Yes! It only requires two simple ingredients. They are lemon juice and milk. For preparing buttermilk at home – add 1 tablespoon lemon juice in one cup of milk. Leave this mixture for 5 minutes and viola, your homemade buttermilk is ready! I was also not having buttermilk at home while baking this cake. I prepared buttermilk at home using lemon juice and milk. And the result was amazing! Now, as this is a coffee cake obviously we will add coffee in it. We will use instant coffee in this recipe. You can easily get instant coffee in the market. I have used bru instant coffee. Let’s talk about the highlight of this recipe – Chocolate Coffee Ganache. My sister loved this ganache. This ganache indeed tastes amazing. For chocolate coffee ganache, we will need cream, dark chocolate and instant coffee. Firstly we will chop the dark chocolate into small pieces. We will add the instant coffee powder. Then heat the cream and pour it on the chopped dark chocolate and instant coffee. Leave this for 5 minutes. After 5 minutes, we will wisk it and there you go – Our chocolate coffee ganache is ready! Easy peasy, right? For preparing buttermilk at home, mix 1 tablespoon lemon juice (or white vinegar) in one cup of milk. Leave this mixture for 5 minutes. Your buttermilk is ready. If you are using ready made buttermilk, then avoid this step. In a bowl, sieve together maida (all purpose flour), baking powder and baking soda. Keep aside. In a small bowl, add instant coffee powder and 1 tablespoon water. Mix. Keep aside. In a separate bowl, add butter. Whip it for a minute. Now add condensed milk. Whip (or mix) it for 2 minutes. Now add coffee water mixture and buttermilk. Mix till this forms a smooth mixture. Mix till this forms a smooth cake batter. Pour this cake batter into a greased cake mould. Bake at 180 C / 350 F for 30-35 minutes or till a toothpick inserted into the center of the cake comes out clean. For preparing the chocolate coffee ganache, add the chopped dark chocolate and instant coffee powder in a bowl. Heat the cream and butter and pour this cream + butter mixture on chopped dark chocolate and instant coffee powder. Remember to heat the cream + butter mixture only till bubbles start appearing . Don't boil cream + butter mixture. Leave this for 5 minutes. After 5 minutes, wisk this mixture with the help of a spoon. The chocolate will melt and a smooth ganache will be formed. If this mixture still contain some chocolate pieces, simply microwave this mixture for 10-20 seconds. Wisk this mixture again. Let the ganache cool down to room temperature. Keep the cake on a plate and pour the yummy Chocolate coffee ganache on the top. You can decorate this with some chopped almonds (as shown in the image) or you can simply leave it like this. Leave this cake for an hour or two so that the chocolate sets. Later on cut the cake into slices and enjoy your yummy eggless coffee cake with chocolate coffee ganache.